Allegedly, photographers and filmmakers alike adore the "golden hour"; the hour after sunrise and the hour before sunset. I'm not sure there is a universal admiration amongst visual artists (hence the word allegedly) but I'm a fan. There is nothing particularly great about these shots...I just like the light. It's Friday again, and usually on Friday's, Untitled's lone contributor is shooting a football game in the near future. Last Friday I spent all day with the Coolidge Colts on a road trip to old West Virginny where they played (and lost) a game to the Bridgeport Indians of Bridgeport High School in, you guessed it, Bridgeport, West Virginny. This is the third consecutive year that I've gone on an out of state road trip with the team and each time has been pretty interesting. Once again we were driven through the interstate highways of America by an old man with a scraggly gray beard and a dingy white cap who also closely resembles "Grady" from Sanford and Son. Coolidge lost and luckily for them, it was too dark for me to record any game evidence. I liked the fluorescent lights of the locker room anyway. Driving up and down Wisconsin Ave. here in Washington DC, I occasionally pass Sidwell Friends School. The only thing I know about the school is that it was once the academic playground of one Chelsea Clinton. After stepping on the campus last weekend to shoot a football game between Sidwell Friends and the St. James School I learned a few more things: a) it's not an all girls' school b) I attended the last football game to be played on that particular field c) Sidwell Friends football runs a Peyton Manning style hurry-up offense, the likes of which I've never seen in high school. Besides all that other stuff, I got a lot of good photos from that game. I can comfortably attribute those good photos to abnormal amount of passing that went on during that game...and my uncanny ability to shoot sports of course. I don't know what really makes a good soccer shot. Frankly, I haven't seen any one that I've thought was amazing. While sitting amongst the seasoned veterans of photography at the DC United soccer games here in Washington, I've learned that the header shot is the one to shoot for. Not by actually asking them what is a good soccer shot, but by judging the rapid fire shutter tripping that occurs around me whenever a soccer ball is near a players head. So as always, I try to apply what I've learned from the vets to my weekly (almost daily) high school self-assignments. Usually I wouldn't let a whole week past between posts (unless I was on vacation), but this week I have a good excuse. I've been mad busy. The money has been pouring in as much as the money can pour for a poor photo assistant. But in the midst of all this assistant work, of course I've still been shooting on my own. And my favorite subject as of late is the Coolidge football team. The games are fun to shoot, but you pretty much know what to expect. All of the good pictures come during pre-game and halftime. 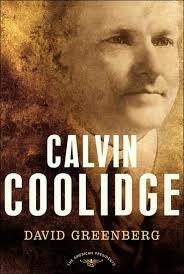 Now whenever I hear, read, or see anything about Calvin Coolidge, I will think orange.